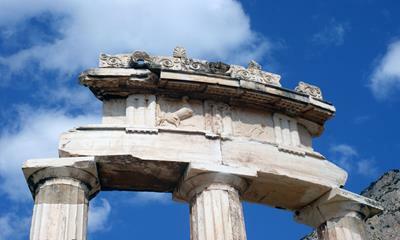 Harmony Holiday Apartments with Hotel Service and swimming pool on the Peloponnese,welcome you all year around. 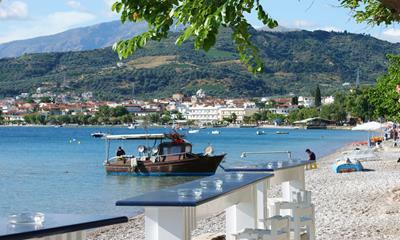 Our warm and charming resort is situated 100m from the fantastic Longos Selianitika beach in the Peloponnese. The azure blue Corinthian Gulf and the picturesque wine region of Aigialia in the east of Achaia guarantee a dream vacation in Greece on the Peloponnese. Harmony Hotel Apartments is known for its high standards and exceptionally tasteful furnishings. The 10 holiday apartments (flats, maisonettes and suites) offer comfortable accommodations for 2-8 persons. All units are fully furnished and equipped with air-conditioning and central heating, and some are equipped with an open fireplace as well. We offer a spacious swimming pool with a sunny terrace, deck chairs and beach umbrellas. We also have a cosy breakfast room with a separate café/bar with an exceptionally friendly and helpful staff. You can also book our meeting room for your seminar, conference, workshop or training course whilst taking advantage of our advantageous location to explore the area and the ancient archaeological sites of Greece.